Here is a photo of a thin strip cut from some 110lb/199gsm card stock. 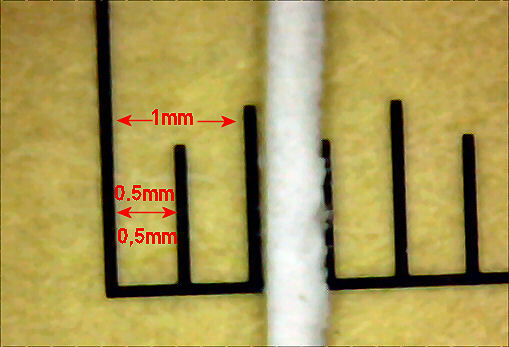 The markings are 0.5 mm apart. The strip fits between two of the markings. It was cut using a Fiskars Rotary Paper Trimmer. The one used was bought many years ago. The blade is getting kind of dull so with a new, sharp blade the cut could probably be made even narrower. The cut was made by placing the card stock on the bed of the cutter with the edge just barely past the cut marks on the rubber strip (Fiskars calls it a Cutting Bar) that is used to protect the blade and as a backer for the stock being cut. The blade carrier was then put down and the card stock adjusted to get close to the desired width for the strip and the blade run along to make the cut. Your resulsts may vary.